EGMN Venture/Francisco Casillas. 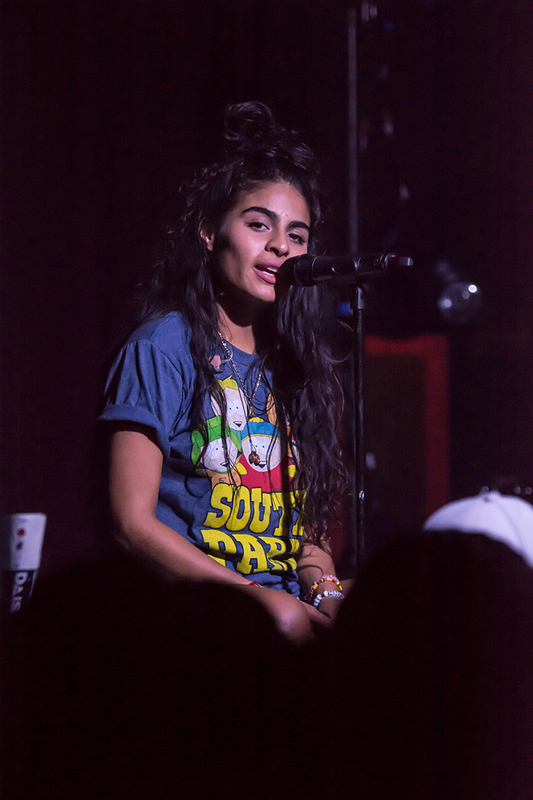 Jessie Reyez performs during her Kiddo Tour at House of Blues, Houston, June 23, 2017. 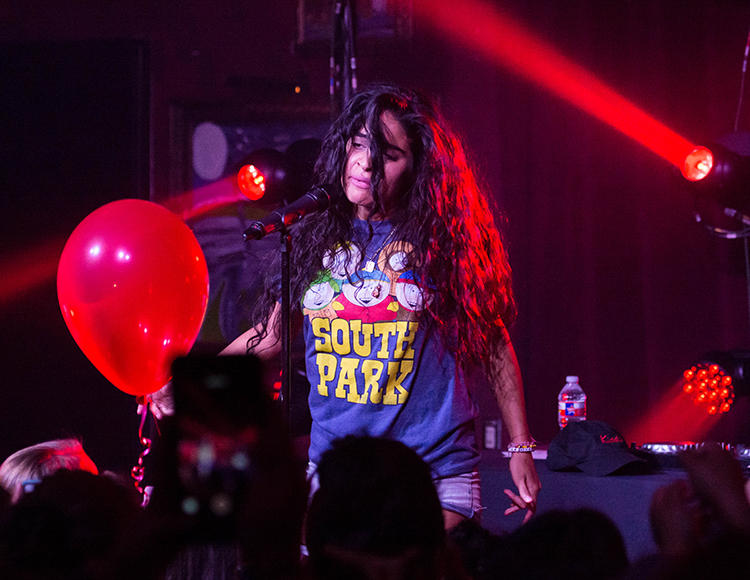 The talented Jessie Reyez delivered a heartfelt and intense performance with effortless vocals at the House of Blues in Houston this past Friday. 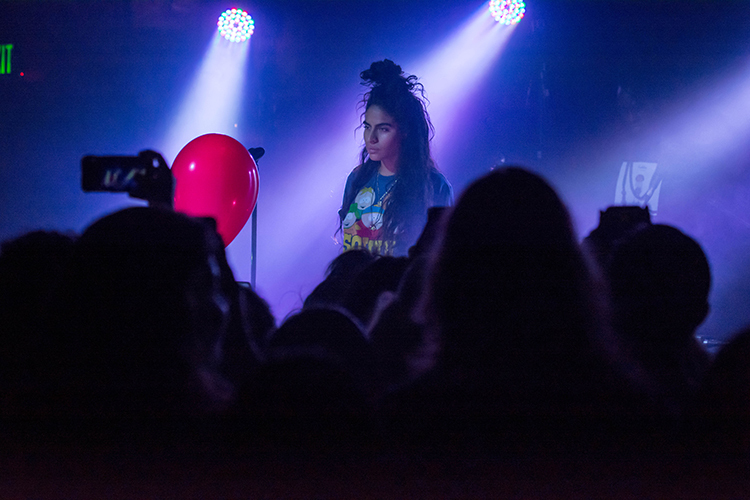 Junia-T, a Toronto native, said Reyez and him have been creative peers for four to five years, and the two have grown so close that they consider each other family now. The Venture/Francisco Casillas. 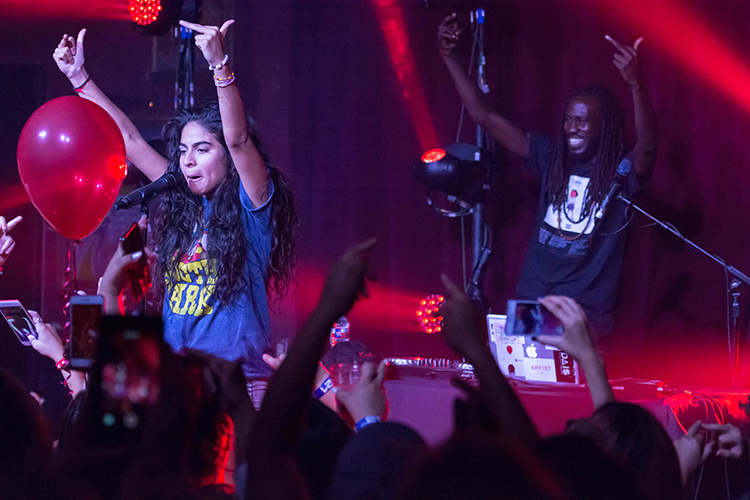 Jessie Reyez performs during her Kiddo Tour at House of Blues, Houston, June 23, 2017. 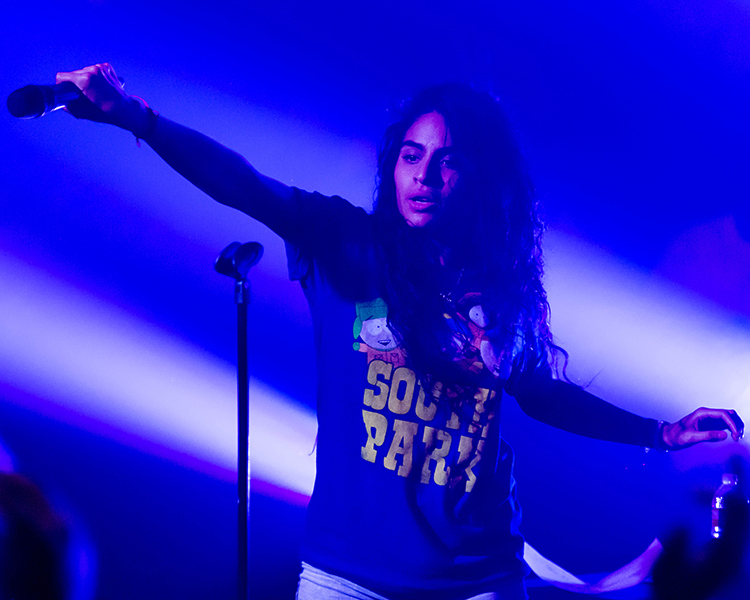 Reyez set an intense mood by throwing her hat off, and imitating moves from the music video. 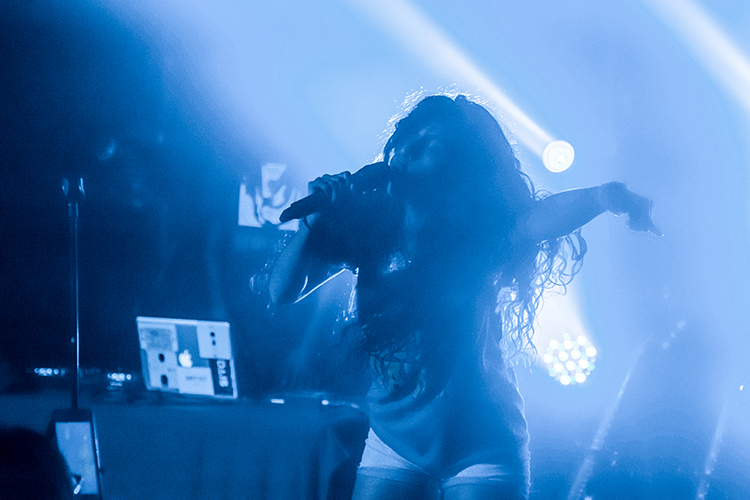 She swung her long, curly black hair back and forth, belting out the lyrics, “crazy just like Galileo!” from her song, “Shutter Island.” At the end of the ballad, the concert-goers sang the lyrics acapella with the singer. 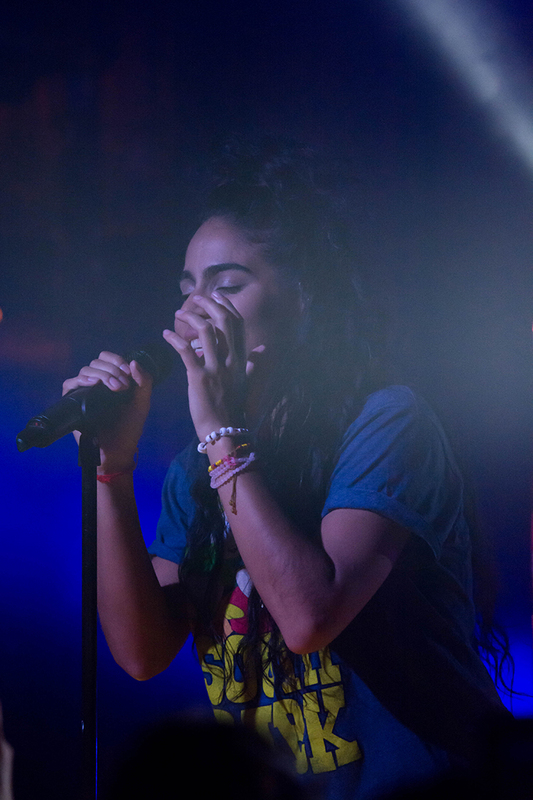 Throughout the concert, Reyez expressed her vulnerability by telling personal stories and encouraging the audience to sing along with her. During her set, Reyez also showed the great bond and love she shares with her parents. 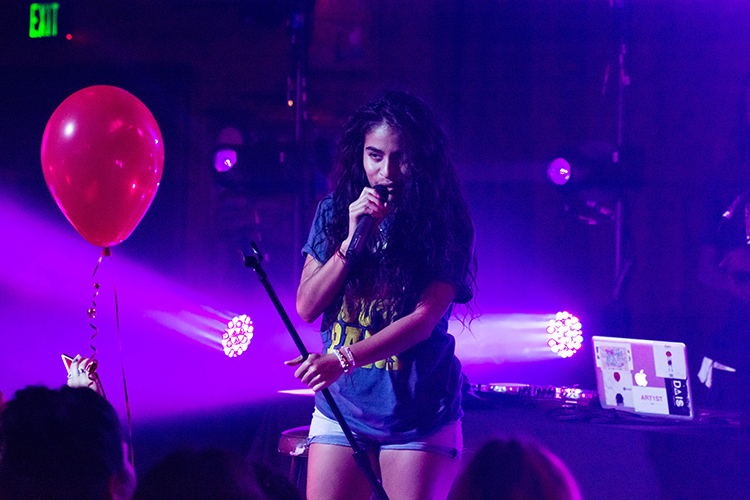 Fans brought symbolic items for Reyez, such as the Colombian flag and a red balloon. 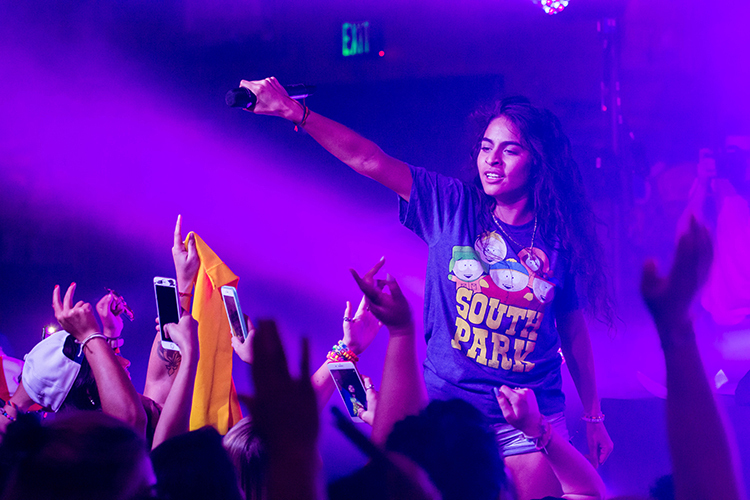 Reyez ended the show with a high-energy performance of “Blue Ribbon”, dancing and leading the fans in yelling out “YAH YAH!” She even grabbed the Colombian flag from a fan, and started to wave it around and let loose. 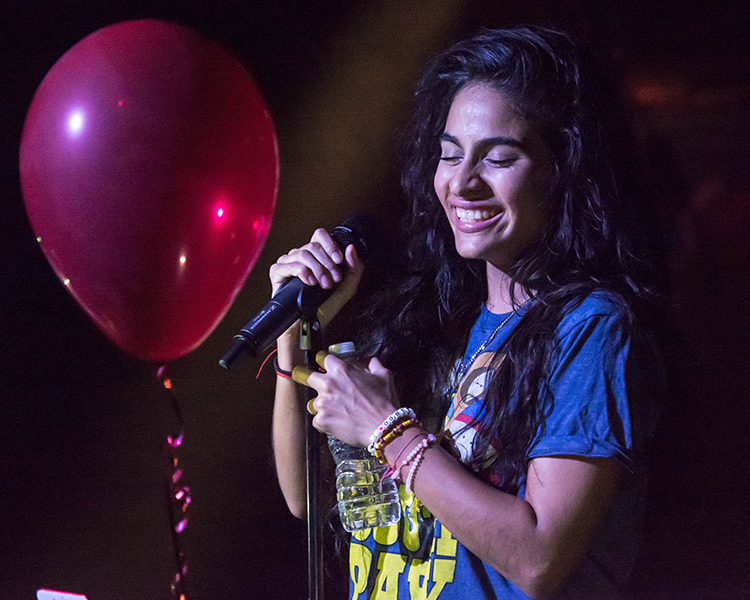 After the concert, fans were able to meet Reyez for pictures and autographs. “I was so excited when she was coming to Houston. 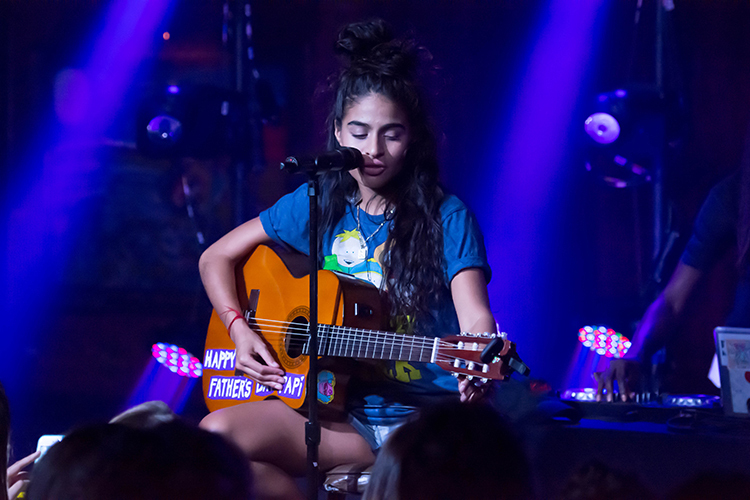 She has an amazing voice,” said fan Daniel Medina, 22. Flying to Los Angeles from Houston, the singer prepared for her next stop at the BET Awards. 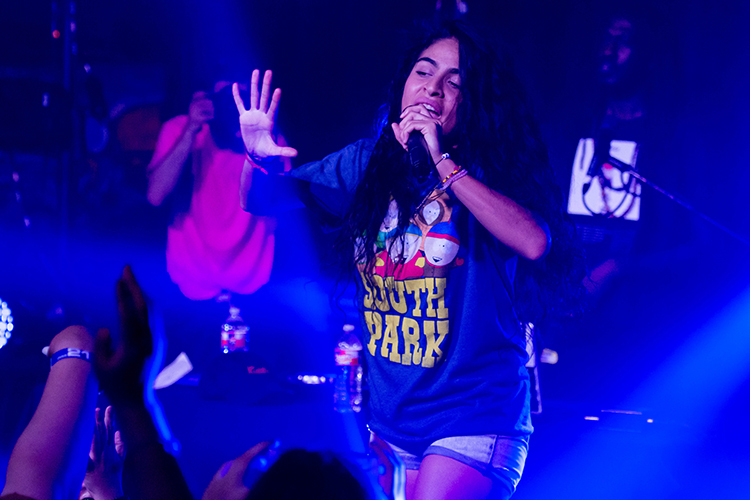 Performing “Figures” amongst her peers, the star-studded audience experienced the same reaction as Reyez’s Houstonian fans. BET Awards summed it up succinctly in one tweet. Fans are now anxiously awaiting for her new album that’s currently in the works, and the release of a song she’s featured on Calvin Harris’s new album that’s set to be out on June 30.